Inspired by beautiful historic sites throughout her travels and close to home, Bibi LeBlanc, took her own photography and turned it into beautiful mandala coloring pages. Art has no defined colors, only imagination brought on by feeling. Culture to Color is a series of Coloring Books designed for adults to have fun, relieve stress, and just be a kid again. With Culture to Color pages you have no limits to your imagination! Download your free sample. Connect with us on our social platforms. We would love for you to share your finished work with us. “Photographer and author Bibi LeBlanc has released the first in a series of adult coloring books that focus on cities around the globe. We’re thankful you stopped by to visit the website! Enjoy coloring this this Easter mandala. We’d love to see your finished work of art! Sign up with your email address to receive updates on our upcoming new release. Thank you for signing up for our Culture to Color Newsletter. A free sample coloring page from our collection will be sent to your inbox. Enjoy! She was born and grew up in West-Berlin, Germany, at a time when The Wall surrounding her hometown was a very present reality. After graduating, she left Berlin, received 2 years of business administration training in a British company. Her strong desire to see more of the world kept tugging at her, though, and led her to be an "au pair" in California, where she made her first skydive. It was an instrumental time in her life in many ways! Upon her return to Germany, Bibi became a flight attendant with Lufthansa. She spent four amazing years traveling the world, taking photos and skydiving in Europe, the US, Hong-Kong, Australia, South-Africa, etc. She met her husband-to-be and moved from Germany to Florida – her childhood dream of living in a place with palm trees and ocean had come true. They worked and traveled together in the skydiving industry, and raised three sons. Traveling has been a big theme in Bibi’s life, and her camera has been her loyal companion. 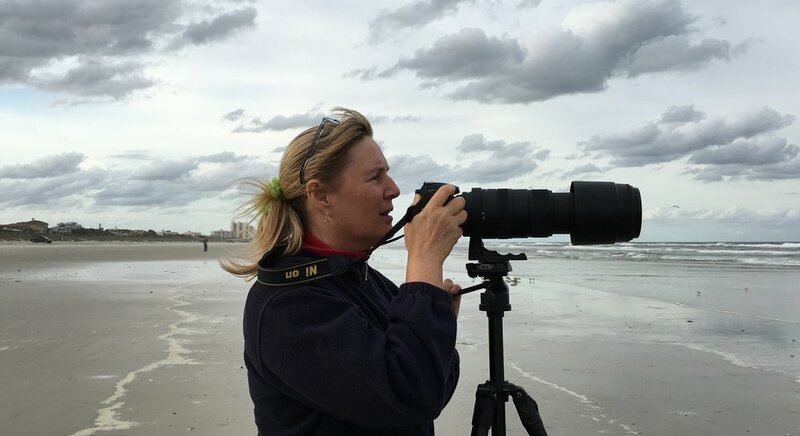 To her, photography means capturing adventures, moments in time, and sharing them, and her ”joie de vivre”!